While the rest of the country is gearing up for Thanksgiving dinner next week, Laura is shopping, cooking and freezing; enough food for she and her husband for the next six months. The shopping usually starts at eight o’clock in the morning on a Wednesday. Wednesdays most grocers discount their meat, though I’m not sure why. For whatever reason, she made the mistake of going on Sunday afternoon this time. That’s why she is only cooking for the next six months, as opposed to the twelve months she had planned. She literal cleaned out the meat section of Market Basket. Making the grocery list is an organizational feat in itself. 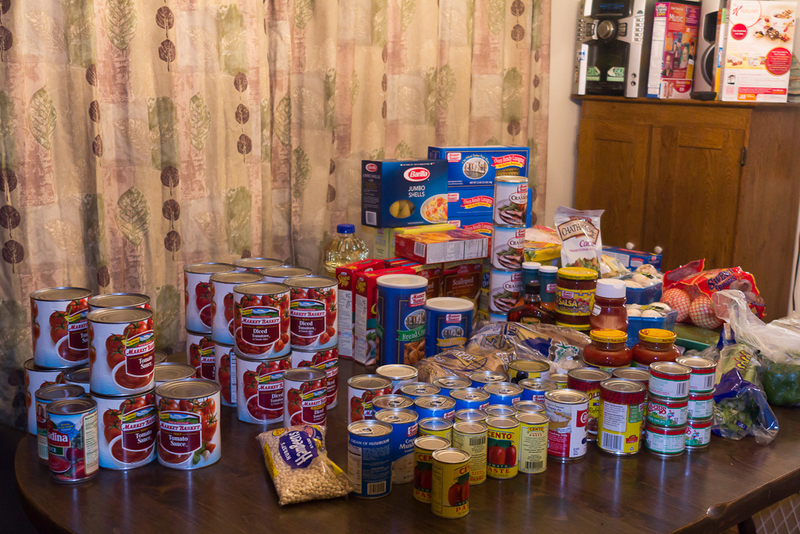 Everything is listed by food group; dairy, meat, veg, canned food, pasta and “other stuff.” The list is built from the fourteen recipes she has selected. Three grocery carts heavier, and $871.23 lighter, she lays out her menus and starts the prep work. The slicing and chopping begins on seven pounds of onions, three pounds of carrots, eight zucchini, five packages of fresh mushroom, four bundles of green onion, and three green peppers. 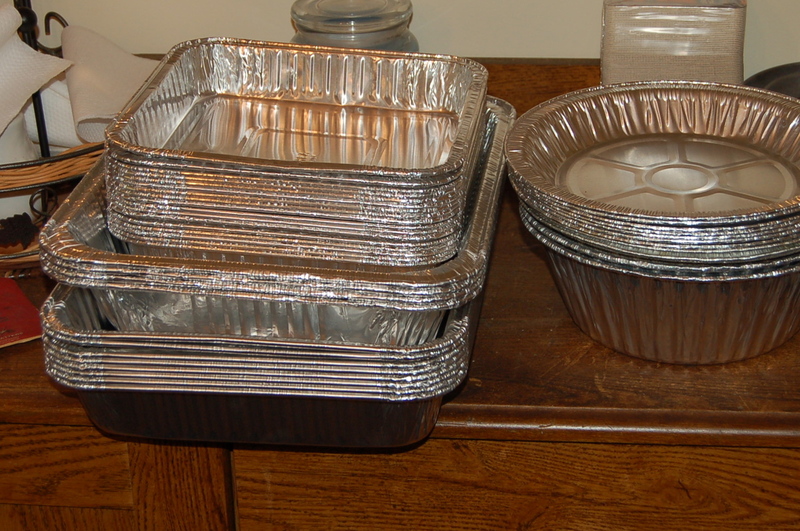 Ten pounds of potatoes are baked, stuffed and frozen. A staggering amount of meat goes into these meals, and I don’t mean that in a bad way. The sheer volume of finished food would make a homeless shelter happy for a month. Thirty-five pounds of 93% ground beef, eight pounds of ground pork, four pounds of ground veal, twenty-five pieces of boneless chicken breast, eighteen pork chops, eight steaks and twelve pounds of steak tips. 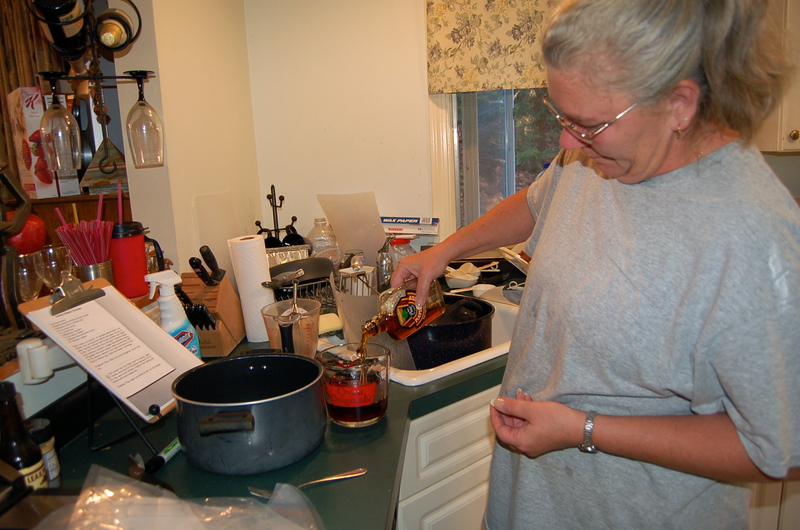 Laura works her way through each recipe which has been quadrupled. 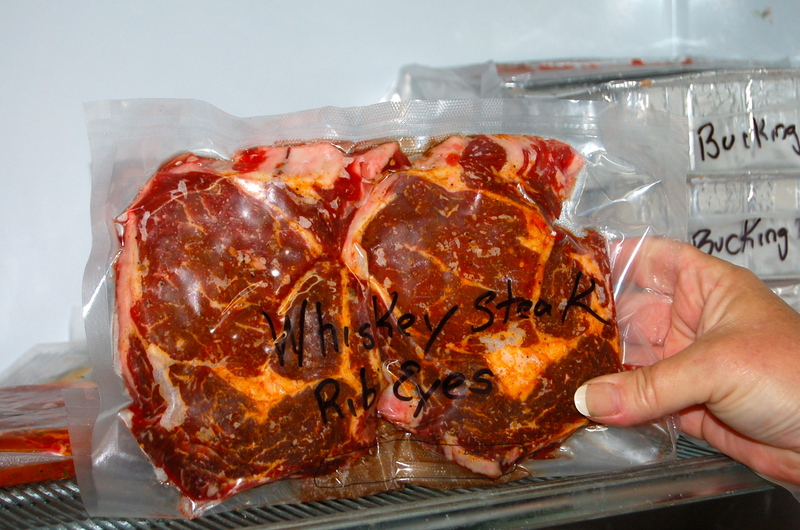 Her kitchen is perfectly set-up to allow her to move easily from the stove to the vacuum sealer to the freezer. It’s a production line of amazing efficiency. 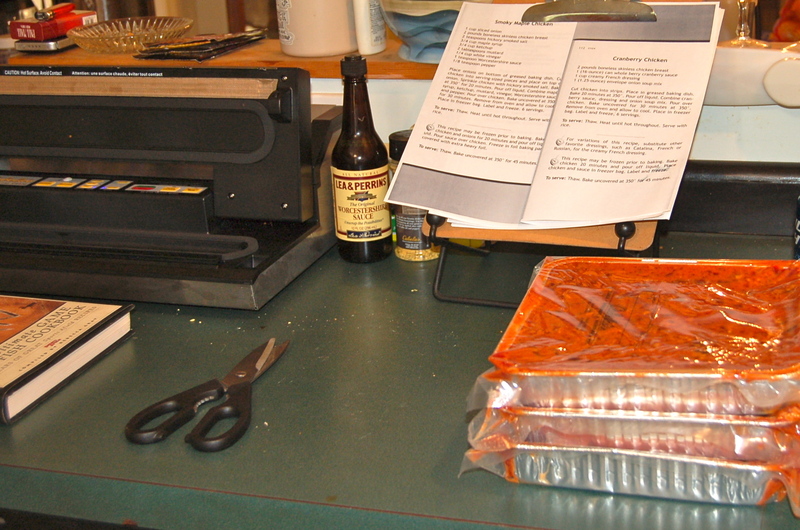 For the next three days she will work her way through all the recipes; sealing and freezing dinners. Laura explained these will actually last longer than the estimated six months. There are just those times when you crave a lobster or something that is not in the freezer. She marks each meal with heating instructions in case she is not there to cook. 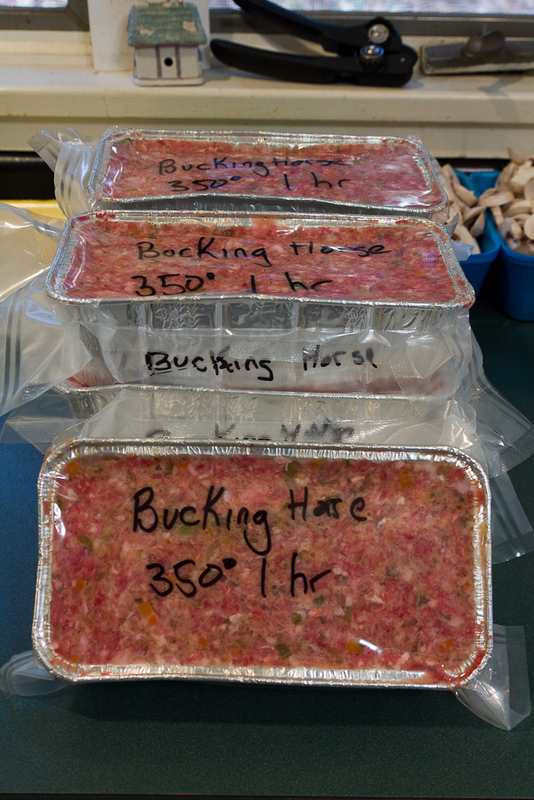 I will be enjoying the Bucking Horse Meatloaf she sent home with me. The economy of it all amazed me. This entry was posted in Lifestyle. Tagged cooking, freezing food, menu planning, New Hampshire. It was fun having you visit yesterday and write about all of my craziness. I started cooking this morning at about 6:30 am. 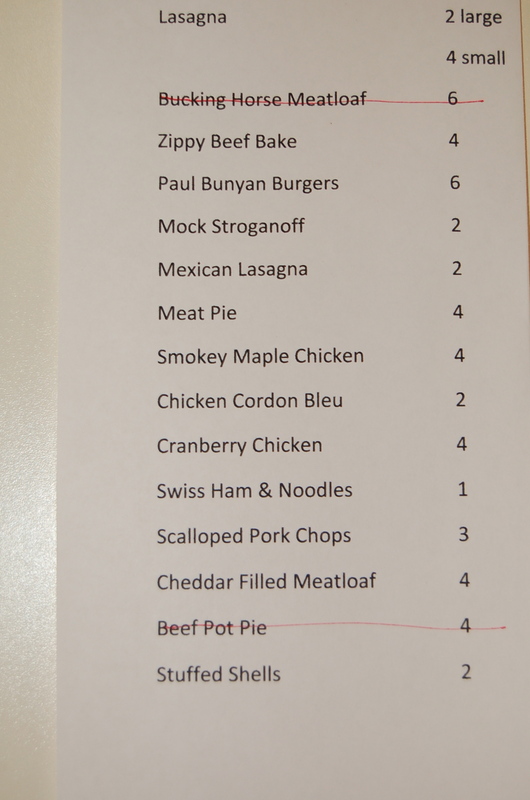 I’m so glad you enjoyed the Bucking Horse meatloaf, one of my favorites! Looking at my list you’ll see that I only made one Swiss Ham & Noodles, it was the first time I had tried this recipe so I only made one. Good thing…yuck!!!! Have a great day! I think Laura missed her calling. She should start a restaurant. I’d eat there if she did. Why thank you Allen. But I only cook once or twice a year, so you’d be hungry a lot! The rest of the year, I just pull something out of the freezer or let my husband cook! And there was me thinking doubling up recipes and cooking for one or two weeks at a time was clever! Now if only I had a bigger freezer. Having a big freezer is what makes this work. 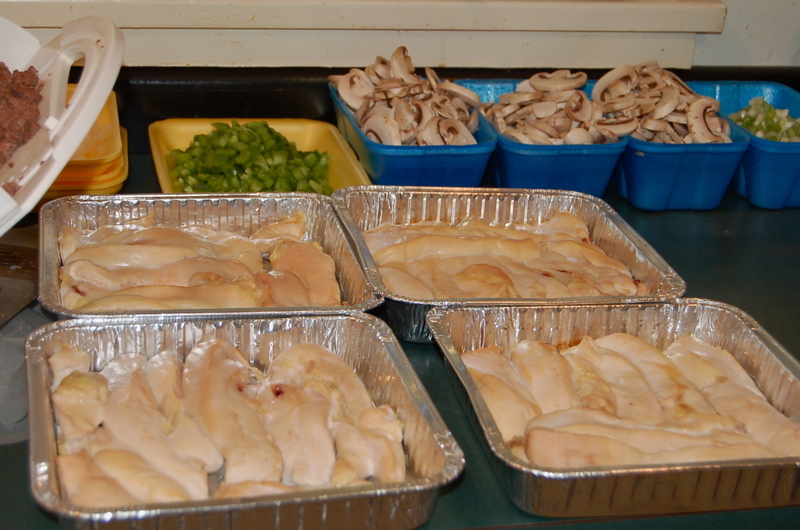 Isn’t it wonderful when all you have to do is grab something pre-made and dinner is on its way. Even doing a week or two at a time saves money and time! This is amazing! I had the wonderful pleasure of meeting Laura yesterday and I can assure you she’s awesome … in more ways than one. She explained her whole system to me and told me about Martha’s great post here. Terri, looking forward to some day meeting you and James myself! Thanks for reposting on FB and for your kind words. Laura is an amazing person I am honored to call my friend. Hope James is over his flu. So glad you enjoyed the olive oil, too.